← QotW: What JNC would make a great mobile office? 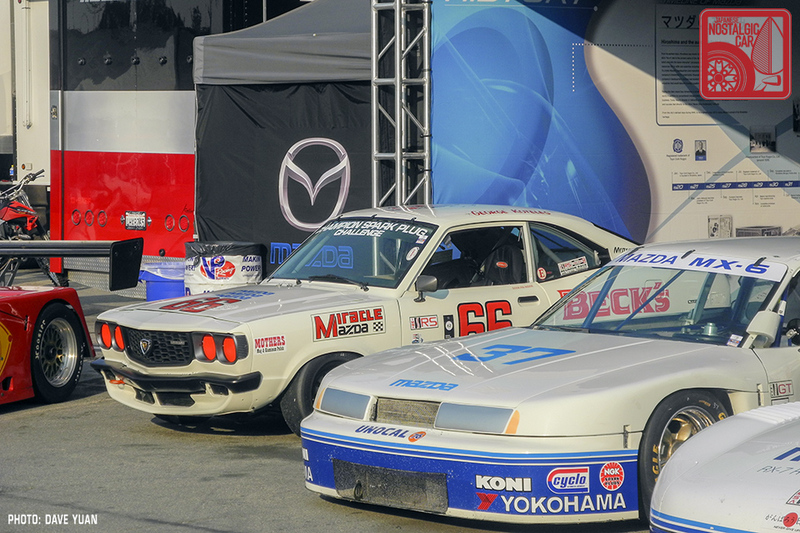 Mazda continued to flex its racing heritage muscle at this year’s Rolex Monterey Motorsports Reunion. 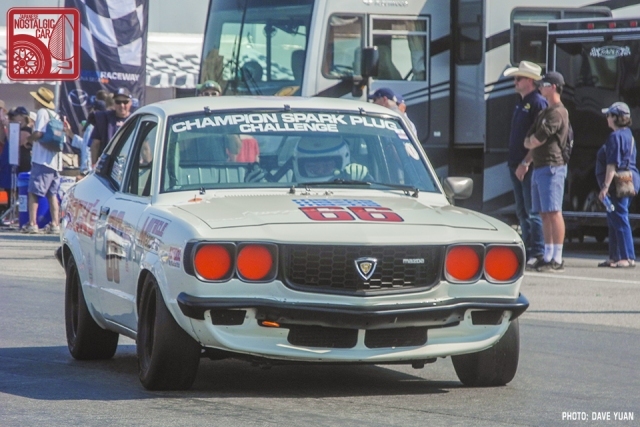 In addition to its usual usual cadre of booming (and zooming) rotary racers, four new participants ripped around the renowned Mazda Raceway Laguna Seca for the 2017 run of North America’s premier vintage racing event. The first is a car that caught our attention weeks ahead of the race: a 1978 Mazda RX-3 IMSA racer. In tact RX-3s have largely become the proverbial unicorn, one of the rarest JNCs around. 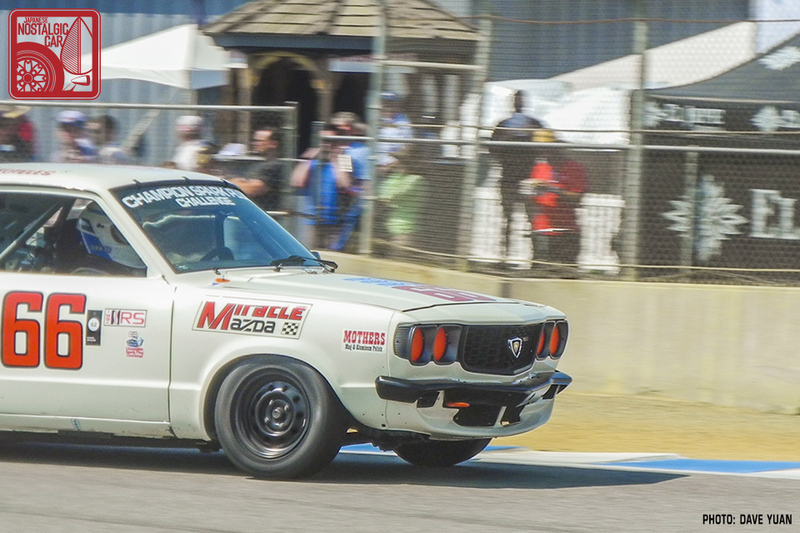 That, along with the model’s rich contribution to Mazda’s storied racing heritage, got us excited when we saw a 1978 RX-3 on the entry list for the 2017 Reunion. The car is owned by Robert Davis, Mazda USA’s Senior Vice President of Special Assignments, and has just undergone a full restoration by Glenn Roberts. Among Roberts’ portfolio, as you may remember, is the beautiful 1967 Cosmo Sport that sold for $264,000 in 2014. 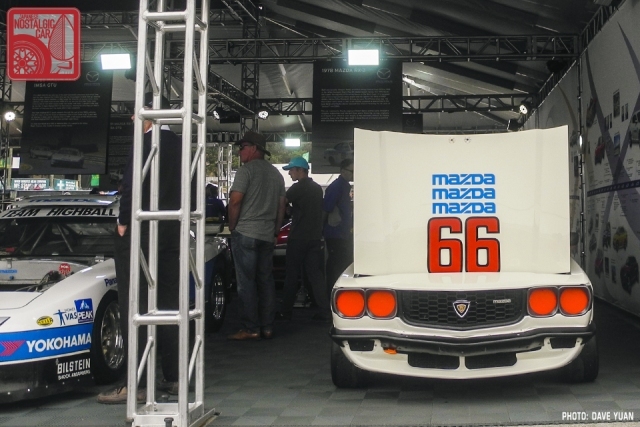 This RX-3 originally raced in the IMSA Champion Spark Plug RS Series from 1979 to 1982. Built by Newport Beach architect George Koteles, it was equipped with a bridge-ported 12A rotary engine. 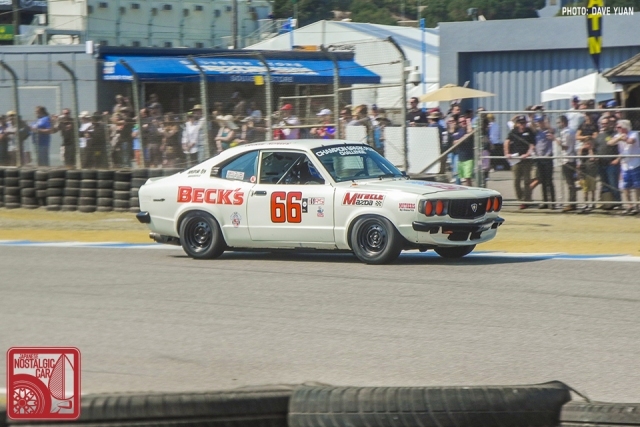 Piloted by Davis, this beautifully-restored RX-3 competed against the likes of Porsche 935s and BMW M1s in the 1973-1981 FIA, IMSA GT, GTX, AAGT class. Clocking in a best lap time of 1:52.5 around Mazda Raceway Laguna Seca, it took 35th place out of 41 cars. One has to wonder the logic of classifying 700-hp Porsches with the likes of Mazda RX-3 and BMW 2002. But given the often giant-slaying nature of Mazda’s heritage, it is perhaps fitting. It was a true pleasure to see and hear this meticulously-restored RX-3 (a three-year job!) running around one of our favorite tracks. We sincerely hope to see more RX-3 race cars, many of which were so historically important and iconic, coming out of the woodwork. 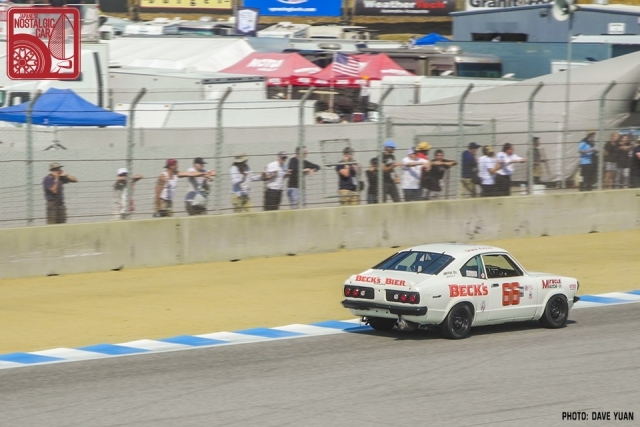 tagged: mazda, Mazda Raceway Laguna Seca, Monterey Car Week, Rolex Monterey Motorsports Reunion, rotary engine, rx-3, vintage racing. The car is actually an early RX3 with a hodgepodge of lights and trim that run the gamut. The side window drip rails say “pre RX3-SP” and the rear valance says “pre-big bumpers (1972 or 1973)” for the underlying body shell. A real SP never had an emblem on the left rear–right side only. If I recall correctly, this car was from the Southeast, and was likely built in the late 1970s from an earlier street car. I remember seeing it up for sale some time back. 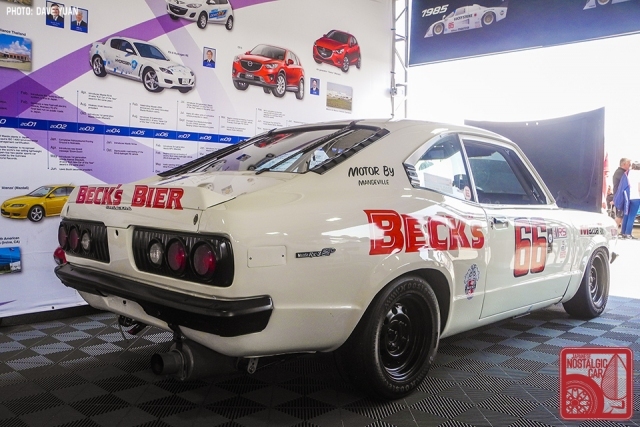 As Mazda promoted the RX3-SP in the IMSA RS series, the RS rule book allowed more modifications, and the increased competitiveness of the more highly modified RX3 meant that a horde of privateers built their own cars. Among the later rules was the one that allowed the modified front fender wells and suspension points, permitting a lower front end and extra front camber, which made the cars a lot more stable in the high speed corners. The rules allowed updating and backdating, so privateer SPs would use the earlier small bumpers and early cars would often get SP trim, and jettison the early “pig-nose” grill for the later nosepieces. They all fitted the oversized factory rear brakes, unique to the last part of the 1976 model year run, and originally on just a few street cars. The “factory” (more directly sponsored) SPs kept the big bumpers and overall look of the later cars, as the idea was to increase the sales of the street version that had the big bumpers. RX3s are unicorns, but an actual IMSA RS period build is almost impossible to find. These cars were smashed and crashed on the track (IMSA drivers played rough), and then gutted to put the racing parts into early RX7s. 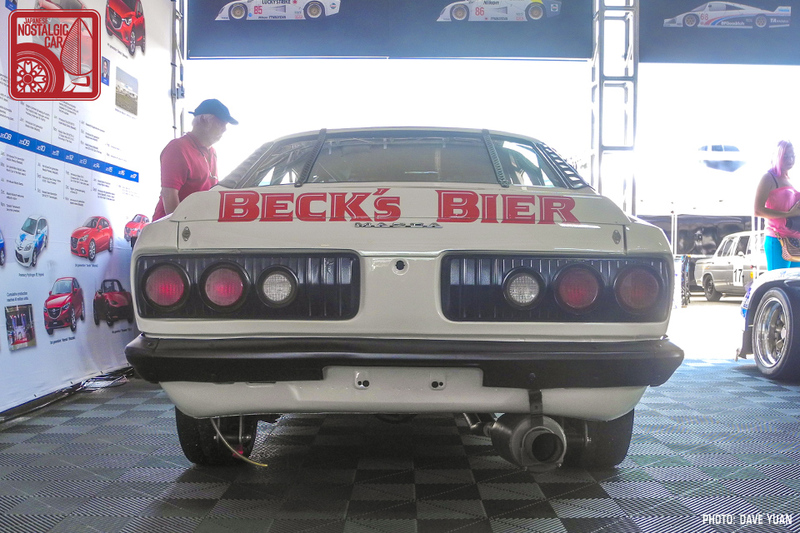 Later RS cars never used bridge ported engines, as IMSA banned them after the 1974 success of the Car & Driver RX2. They would run a “monster” street port, along with factory intake manifolds ported out into one large plenum. The plenum allowed more flow, as IMSA used restrictor plates under the carburetor to control horsepower and “equalize” the cars. The 1976 street cars came with a special equal-length runner intake manifold with a reverse mounted carburetor. That was the trick part to modify and use. I have some of those old ported IMSA manifolds kicking around the shop somewhere. Sorry Dutch. I am the son and one of builders of this car and it was not a Southeast car. This car was built and run primarily in the western swing of the RS series. When I sold it to Robert it was a time capsule and he has very graciously brought it back to exact spec. The bridgeport motors were run for only a short time as they made way too much power and the competition was crying foul so they were outlawed by IMSA. Nothing sounds as badass as that bridgeport though. The housings in the car were done by Clayton Cunningham before he won many championships with his incredible 300zx’s. I found some higher resolution photos and some notes on this car. It is indeed a 1978 car, with various trim changes. 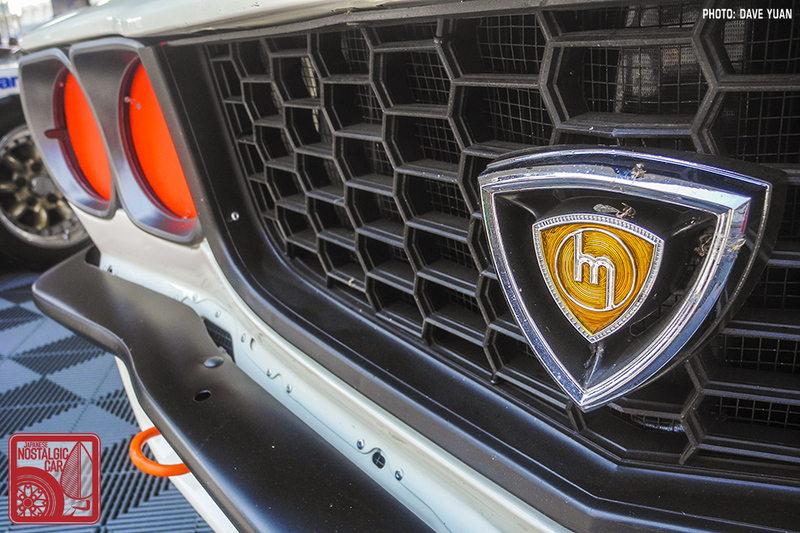 It was fitted with a Mandeville bridgeport engine after its IMSA RS days were done. Thanks for the detailed history! I suspect this car wears pieces from other years because it’s so damn hard to find RX-3 parts in the US. They all ended up wearing pieces from various years. IMSA RS was a rough-and-tumble series, and the fields were often thirty up to fifty cars per race at times. The competitors would stack up scrapyard pieces for spares, because they would need them. RS was JNC sports sedan nirvana for racing, with BMW 2002s, then AMC Spirits, and some Fords mixed in. IMSA (RS, GTU, GTO, GTP) was where Mazda made much of its U.S. racing history, and Nissan and Toyota had some great years and very special cars, too. 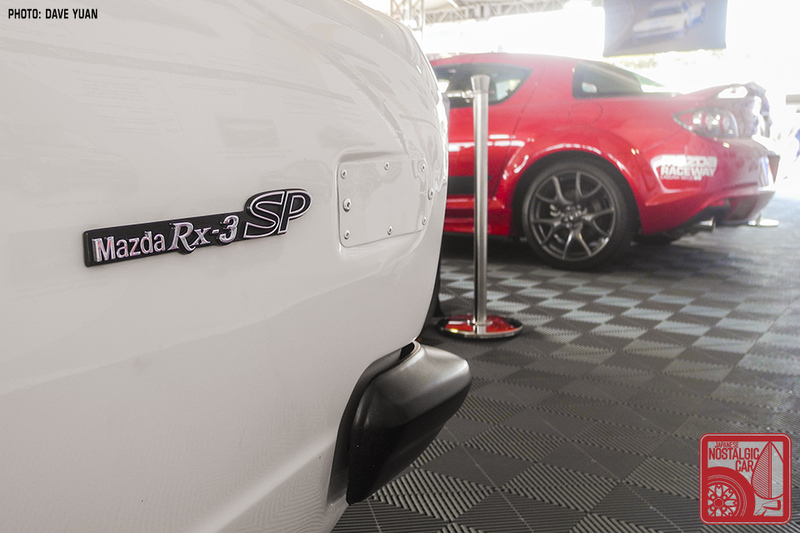 RS and the RX2/RX3 was the start of it for Mazda. Most of the cars are gone now, and the racing set-ups, to meet the odd and changing rules of the class, made for strange constructions that you would see nowhere else. The heavy widened steel wheels, for example, were a peculiar IMSA RS requirement. RS is a lost series, and there is no real written down history, just bits and pieces, but it was one of the best and most entertaining racing series ever. Absolute racing chaos and mayhem, but hugely entertaining. It needs to be written down. I think all the US ones have ended up in Puerto Rico. P.S. I have the older brother to this car, the 1983 Mazda GLC that we built with Mazda’s help as well. Talk about a unicorn!! 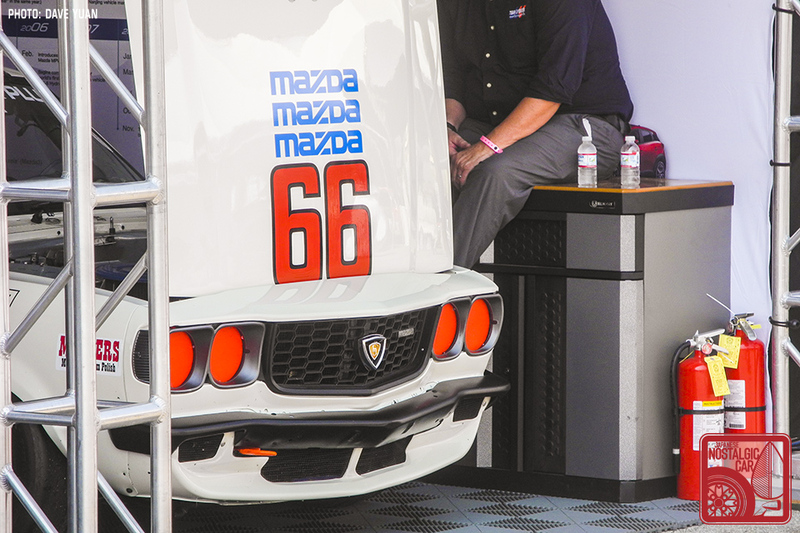 It was a feature car in Grassroots Motorsports magazine’s October issue three years ago. All GLC’s are the ones that ended up in Puerto Rico and mine is the last known RS GLC!! It has undergone a extensive refreshening and I have run it a few HSR events winning it’s class every time so far. We are doing some other much needed work on the car now and it will be back in action so keep a look out!! That’s amazing. Got any pics of the GLC? Here is a link to a picture from The Mitty 2014. Sporting one of the last Team Highball front air dams in existence ( of course I had a mold made!! ). Hope you can open the pic. If not give me email and I’ll send several that I have. Also article still in archives in Grassroots Motorsports magazine.